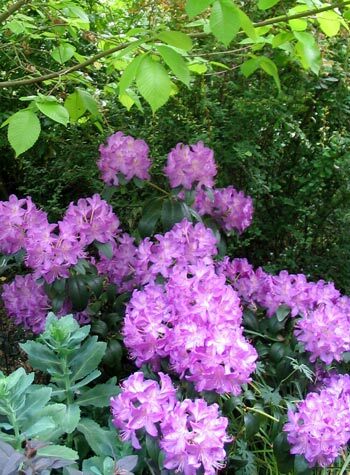 A day to remember in the Moosey Garden Calendar - I've finally found and photographed a bargain bin rhododendron which has been in my garden for at least four years and which has a proper label! It's called Blue Jay. The rhododendron Blue Jay (see how I'm showing off my plant knowledge) us planted in the moist semi-shade of the Dog-Path Garden, underneath a Golden Elm tree. There are actually two side by side, and this is the first year I have caught them flowering so well. 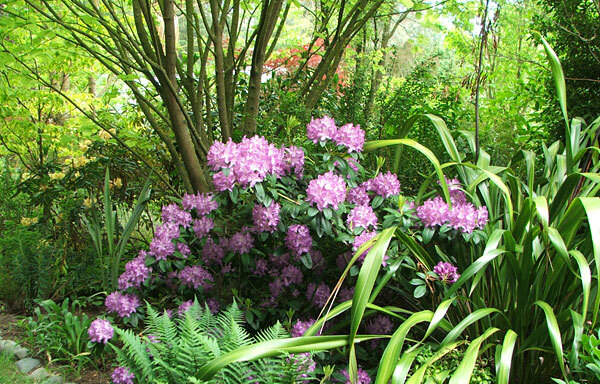 They flower quite late in the rhododendron season, long after their neighbours across the path in Middle garden. You can imagine my excitement when I spied a label stuck into the soil! 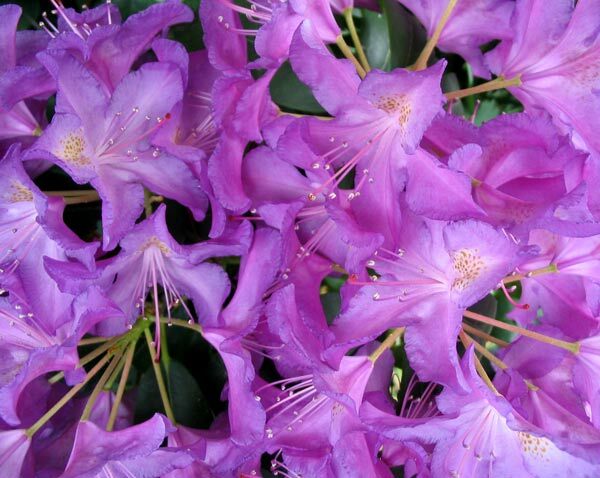 Usually I am forced into colour-naming my rhododendrons, and apologising profusely - it's as if I don't take these noble shrubs seriously enough (I do the same with hostas, but that's another story). Anyway, back to Blue Jay - this plant has beautiful blue flowers with healthy dark green leaves. The label even says so - I shall now proudly quote it.